PERFECT FIT TIX ON SALE NOW! PERFECT FIT is a contemporary comedy about three friends who grapple with the twists and turns of life, years after college. Radhika, a fashion designer in LA, returns to NYC after a dirty divorce to visit ex-boyfriend Jake, only to find out he has a new girlfriend, Hannah. Ex-roommate Mary Beth has a newborn baby but her surgeon-husband Takashi is constantly busy. Can old friendships survive the journey to adulthood? What makes a family? Do we live in a post-racial world? What is boiled wool? Set in New York City today, PERFECT FIT subversively raises these and other pressing questions about contemporary American life with a keen eye and razor sharp wit. "Lina Patel is a masterful playwright, capable of exploring both the world and the human heart. Her work provokes, enlightens and moves me." "Lina Patel has a great ear and a unerring sense of character. She is always writing about something important, to her and to us, but in a subtle and human way. PERFECT FIT is a rare thing today: a social comedy about heartache. I can't recommend it enough." "Lina is one of the most prolific and incisive new writers on the scene with a deep intellectual rigor seasoned by a keen sense of history and humor." "Lina Patel is that rare playwright who not only excites and entertains but proves over and again that a sharp intellect and the desire to explore ideas make for great theatre." "Maura, you put together a nice show here. It moves, it flows." "Director Maura Kelley's staging is charmingly informal..."
"Director Maura Kelley has created an amusing, instructive show." Lina Patel (Playwright) is a critically acclaimed writer and actor. Lina's first play, Sankalpan (Desire), set in the volatile period of pre-Partition Bengal, was a semi-finalist for the Sundance Theatre Institute. The play was developed at the New Group, Silk Road Theater and the Lark Play Development Center, (Playwrights Week) helmed by Ian Morgan. A Sherwood Award finalist, Lina was invited by Center Theatre Group to develop a new play in their nine-month writer's retreat. Set in New York, The Ragged Claws examines the value of history and art in a time of crisis through parallel stories of people adapting to unforeseen and extraordinary circumstances. The Ragged Claws received two staged readings at Silk Road Theater Project and a Roundtable at the Lark and is a BAPF finalist. Lina's drama, The Disappearance of Luck (as in Lakshmi, goddess of Fortune) is an urban tale about what happens when a man's wife disappears and a stranger appears his life. Luck was developed in a writer's group led by Jose Rivera. Lina's new play, an imagined conversation between Lionel Trilling and Virginia Woolf, Understanding Eugenia, received a Lark Roundtable. Her new play, Dionollo, a playful contraction of Apollo and Dionysus, about two men approaching a certain age, received a reading at the New Group. Lina is currently at work on a play about the Depression-era photographer, Dorothea Lange. Lina's first production, That Could Be You, premiered as part of The DNA Trail at Silk Road Theater Project, presented in association with the Goodman Theater and directed by Steve Scott. A stage and television actor, Lina has performed at the Oregon Shakespeare Festival, the Taper, Pasadena Playhouse, the Globe Theaters and has guest starred on "24", "CSI", "Numb3ers" and "Medium." A voice-over artist, Lina has narrated several books for Penguin and Random House including Faulkener's, As I Lay Dying and Arturo Perez-Reverte's, The Queen of the South. Chris Davis (Jake) is excited to perform in his first production with eyeBLINK. Past stage credits include: The Shaughraun & The Jeweler's Shop (Storm Theatre), tour of Lights on for Louie with National Theatre for Children. Film credits: Good Rules for Badguys (Footnote Studios), What Really Frightens You? (New Wave Film Distribution), Leave Me Behind (Running on Faith Productions) and The Yard (Saiyan Films.) Also, he was formerly known as Chris Keveney, but don't even get him started. Thanks to all who had a hand in this production. 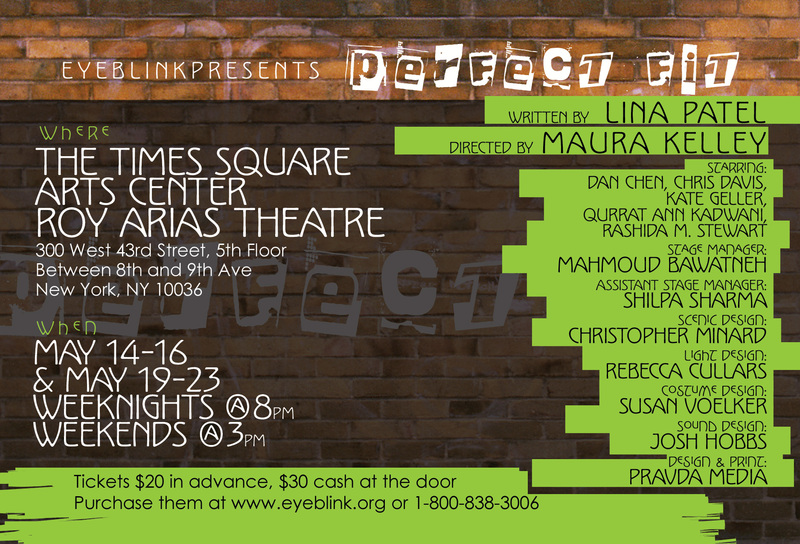 Kate Geller (Mary Beth) is thrilled to be a part of eyeBLINK's production of Perfect Fit. She is an MFA in Acting graduate from the Rutgers University, Mason Gross School of the Arts. Credits include: TV/FILM: Mercy (NBC), Couples (Cannes Film Festival '08), Sara&Jay4Ever (Pilot), multiple CollegeHumor.com sketches. THEATRE: Lilly's Purple Plastic Purse (Mile Square Theatre), Second Love (Kate), Mad Forest (Columbia University Theatre Co.), Jesus Hopped the A Train (Rutgers Theatre Company), The House of Bernarda Alba (Rutgers Theatre Company), Dershowitz Protocol (Michael Weller Theatre and Fringe Fest '08), and Imminent Indeed. (Fringe Fest '06) Thanks and love to Chris, and my supportive friends and family. Rashida M. Stewart (Hannah) comes to New York by way of Chicago and is certainly not a newcomer to the stage, as she has graced many as an actress, dancer, and model. Rashida first appeared in the limelight of the stage at the age of three when she fearlessly recited a poem for a program at her preschool. Rashida has always had an affinity for the arts and she received her first taste of "big-screen" action with a minor part in MGM® Studios 2002 feature, Barbershop; that is when acting became a stronger focus for her. Since then, she has appeared in various independent films, stage productions and a couple of commercials. Rashida is a classically trained dancer, choreographer and model. In the vein of sharing what she's learned, Rashida teaches dance and modeling to kids; as well as being a mentor to at-risk teens. She's also a burgeoning violinist; presently, re-exploring the instrument she first trained on in her youth. She is very excited to be part of Perfect Fit. Rebecca Cullars (Lighting Designer) just finished a national tour of The Break/s: A Mix-Tape for Stage as Lighting Director/ Ast. Designer. She has designed for the Clark Sisters and The Mighty Sparrow. She has Ast. Designed Off Broadway productions of Nathan the Wise and Cyclone and the Pig-Faced Lady. 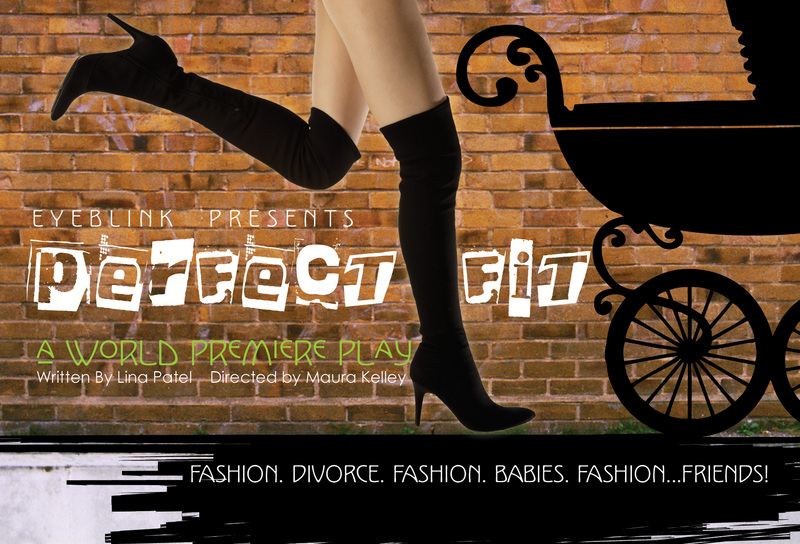 Rebecca is thrilled to be working with Maura Kelly again on this captivating production of Perfect Fit. Susan Voelker (Costume Designer) loves the way costume reflects personality. Working on short films and plays, in addition to years of clothing design and fashion show creation, Susan sees each project as a chance to express a character's style and mood through the clothes on the actor's back. With love for all things aesthetic, Susan studied art history and fashion in Georgia before moving to NYC and costume design in 2007. She's excited to be a member of the creative team of Perfect Fit and to show off the 5 stylish metropolitan friends who tell the story so well! Josh Hobbs (Sound Designer) has been a professional sound designer for the past eight years. He graduated from Kent State University in Ohio and has recently moved to New York to further his Sound Design career. Thank you eyeBLINK for giving me this opportunity to showcase my Design work for the first time on the New York stage. A special thanks to my family and friends for without them I would not be doing what I love. Much love to Anne and Sadie. Thank you for making this move with me and for your support. Enjoy everyone. The world is a stage. Mahmoud Bawatneh (Stage Manager) was the proud recipient of the Fort Hamilton High School Theatre Award for excellence in theatre and the Leviton Award for character, skill & scholarship in Technology. At Fort Hamilton, he was a volunteer technical director, stage manager, assistant stage manager, set designer, set builder, sound engineer, and crew trainer for productions such as Jekyll and Hyde the musical and Arsenic and Old Lace. After high school Mahmoud had the pleasure of being an intern crew member at Lincoln Center out of Doors. He continued his work as an engineer and technician for Prosho Sound. Also he was a set builder and assistant stage manager for the off-Broadway production of True West at the Athena Theatre in Manhattan. Most recently, he was the production stage manager for the unknown Tennessee Williams Production lab of Escape at the Target Margin Theatre. Currently, he is the producer and stage manager for The Gloria Glitter show at the Broadway Comedy Club. Shilpa Sharma (Stage Manager) is thankful to eyeBLINK for opening the door to the exciting world of working backstage. Being a big enthusiast of the theatre, she hopes to continue embarking this journey. The rest of the time she works as a Business/ Quality Assurance analyst, is a self proclaimed adventure junkie, plays the Dumbek and is an avid painter. a good time while helping a growing non-profit organization! Tix are available at the door for $30 cash. 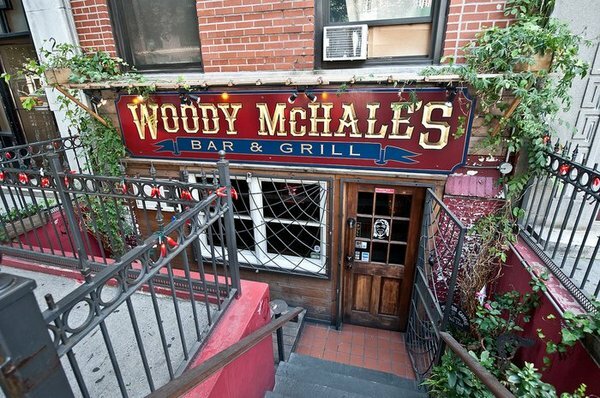 8PM - 9PM PREMIUM OPEN BAR! Kettle One, Absolut, Tanqueray, Jack Daniels, Bacardi, Wine, Beer, Juice, Soda and our specialty cocktail Perfect Fit! Help us keep promoting multiculturalism through the arts! What are we doing with all the funds we raise? Three thirty-somethings grapple with a recent dirty divorce, parenthood and new relationships, ten years after college. When fashion designer Radhika reunites with old college flame Jake, sparks fly despite the fact he has a new girlfriend, Hannah. Mary Beth, a furniture maker- turned new, freaked out mom, and her surgeon-husband Takashi, are both too busy to notice how much they miss each other. Can old friendships survive the journey to young adulthood? What makes a family? Do we live in a post-racial world? What is boiled wool? Set in New York City today, Perfect Fit subversively raises these and other pressing questions about contemporary American life with a keen eye and razor sharp wit. Special Thanks to our Fundraising Assistants! This March, be one of the first to see a staged reading performance of More Than Breakfast, a new play by Callan Stout. Four sensuous, passionate, provocative, and witty women meet at a California forest retreat to overcome their recent divorces. A couple of divorcees, some trees and way too much idyllic downtime make for an interesting night of fun! Towards the end lurks a sharp twist - one deep, dark secret unknowingly uniting them all. New plays are selected based on multicultural themes, non-traditional casting, and the play's ability to affect social change. A staged reading is a directed peice with fully developed characters and an enjoyable theatrical experience. It has minimal lighting and blocking and the actors read from the script. The focus of this is to analyze the themes of the play and to help the playwright make the play as strong as possible. There will be a Q&A directly after with the playwright! Your opinion is important so please join us! Callan Stout (Playwright) grew up in Los Angeles, surrounded by entertainment, people and entertaining people. She started working in theatre over ten years ago and has been fortunate enough to have a variety of productions and readings during that time. Her first play, an adaptation of Rudyard Kipling's AESOP'S FABLES, was produced by the children's theatre company she was working with at the time. The next year they produced another original children's play BROWNIES, BICYCLES AND BIGFOOT. Her play RED INDIA received a staged reading in The Next Stage New Play Festival. She also studied in London with Dr. Roy Kendell at the Institute of Contemporary Art, where her play THE PASTRY QUEEN received a reading. Callan has also worked with The Cherry Lane Theatre, The Public Theatre and Thirteen Playwrights. She has a BFA in Dramatic Writing from NYU's Tisch School of the Arts and an Mlitt in Folklore from the University of Aberdeen, UK. MORE THAN BREAKFAST received a first reading at NYU in 2008. Callan is thrilled to have the opportunity to share this story with a new audience. Dina Epshteyn (Director). New York-Abroad Stage: Ghost Light (currently). Vignettes for the Apocalypse: We Appear to Have Company (currently). Manhattan Theatre Source: Tumble Jumble. Fringe Festival: George the Fourth. Urban Stages: The Clockmaker (reading). Strawberry One-Act Festival: No Applause Please. Where Eagles Dare: Cold Feet. Regional-Capital Rep: The Oxford Roof Climber's Rebellion (AD). Two River: Heartbreak House (AD). Westport: Sedition (World Premiere), Mary's Wedding (AD/Dramaturg); I Dream before I Take the Stand. Baltimore's CENTERSTAGE: The Life of a Dollar Bill (Young Playwrights Festival); Hearts (AD/Choreographer); Ah, Wilderness!, The Three Sisters, Death and the Maiden, The Boys from Syracuse, Things of Dry Hours, Trouble in Mind (Dramaturg). Education: McGill University.